If you have muscle soreness from regular exercise or simply suffer from aches somewhere in your body, then this massager will help you alleviate it all! Connect it to your phone with wireless. Health app offers multiple massage modes including relaxation, music play, massage , and exercise mode. Adopt 10 different levels of intensity from warm-up to high-intensity exercise, meet your diverse needs fully. Applies Electrical Muscle Stimulation (EMS) technology, it triggers muscle contraction by stimulating motor nerves directly through external current. Relax your whole body. Adopt RoHS-compliant silica gel, which is harmless, toxic-free and environmentally friendly. The attached self-adhesive medical-grade gel patches have passed the human biocompatibility test and obtained the international certification. Connect wirelessly to your phone. 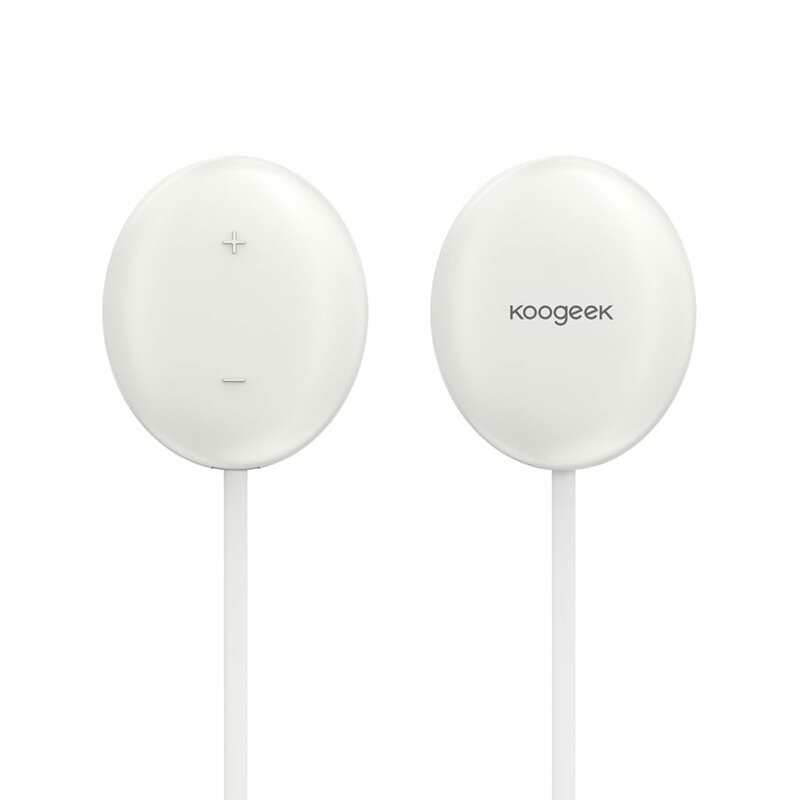 Koogeek app offers multiple massage modes including music play, massage, relaxation, and exercise mode. Adopt 10 different levels of intensity from warm-up to high-intensity exercise and finally to relaxation with full automation control. 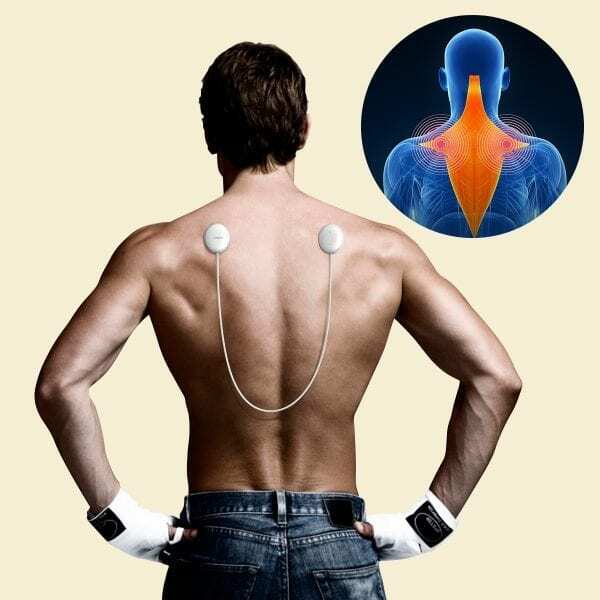 This EMS (electrical muscle stimulation) massager is clinically proven to be safe and effective. It does no harm to human body. Just enjoy scientific and healthy massages. Fix the smart massager to the position where you want to relax. To power on, press “+” button for 3 seconds; to power off, press “-” button for 3 seconds. Automatically shut down in 23 minutes. You can use the massager in any circumstance no matter you are reading, walking, doing housework, or working in the office. 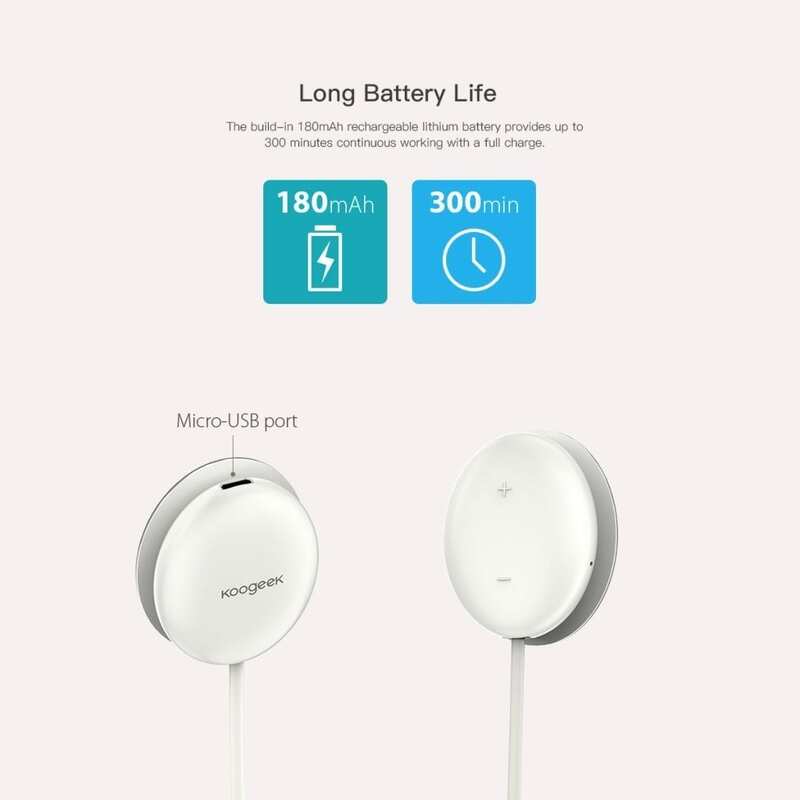 Pocket size and wireless connection enable you to get relief anywhere, anytime. Work up to 300 minutes on a full charge with the built-in 160mAh rechargeable lithium battery. 1. Do not use this product if you have a cardiac pacemaker, implanted defibrillator, or other implanted electronic device. This Affordable wireless electrical muscle stimulator (EMS) can relax muscles, reduce fatigue, relieve a wide range of muscle pains. While relaxing to your music, watching TV, doing Yoga or what ever pleases you. 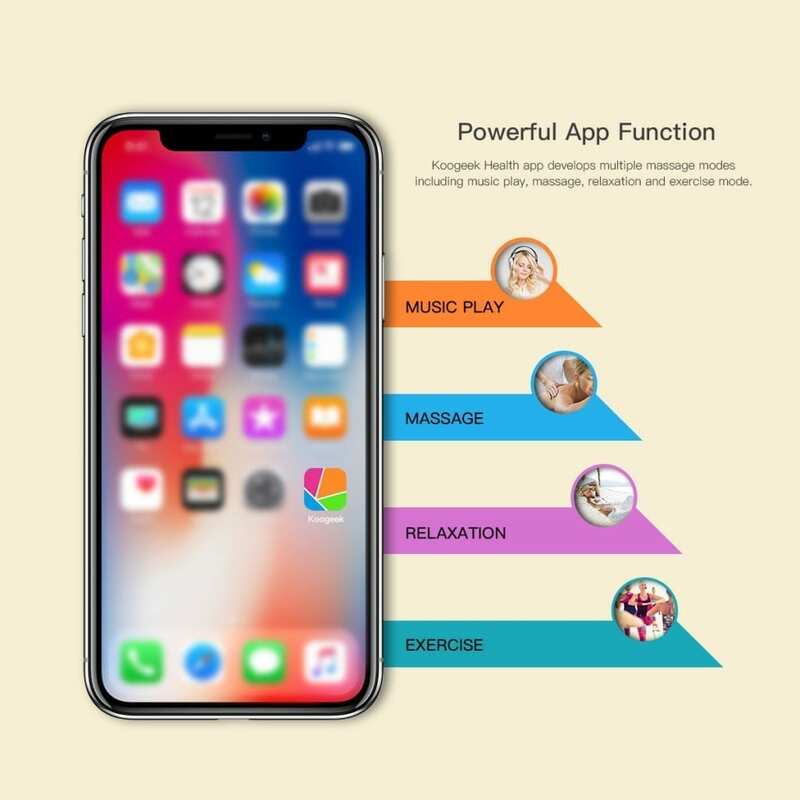 Connect it to your phone with wireless free app which offers multiple massage modes including relaxation, music play, massage , and exercise mode.